Bhainsrorgarh, a boutique heritage hotel in Rajasthan | Souvenir. 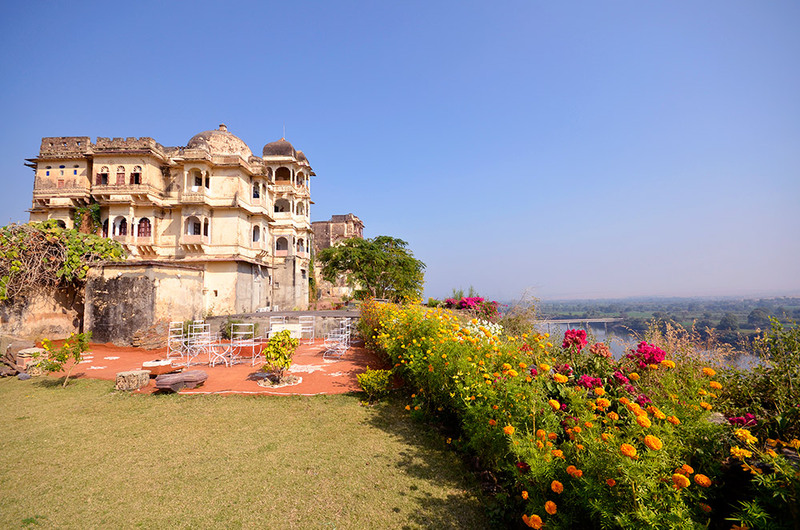 Dramatically perched over the shimmering Chambal river, on a steep slate ridge about 200 ft high, your first glimpse of Bhainsrorgarh Fort will literally take your breath away. 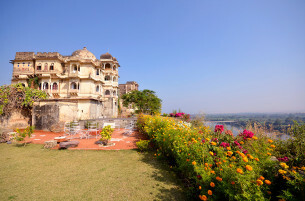 Typical of the family owned and run heritage hotels in Rajasthan, Bhainsrorgarh is a jewel in these often dusty crowns. British historian Col. James Todd after seeing the splendid and mesmerizing beauty of Bhainsrorgarh said that if he was offered a Jagir in Rajasthan and given the option to choose, it would be Bhainsrorgarh. The royal family-in-residence welcomes you warmly to experience a stay in this incredible fort and Hermendrah Singh is your dapper, accessible host for whom nothing is too much trouble. The atmosphere, views , personal service and beautifully laid out gourmet meals have enchanted many visitors since the fort opened to guests in 2006. Little wonder, Bhainsrorgarh has been rated as the Best Heritage Hotel in India by Tatler Travel Guide, UK. (2008, 2009). A fortified outpost of the kingdom of Mewar that included Chittorgarh and Udaipur, Bhainsrorgarh is located 235 kilometers northeast of Udaipur and 50 kilometers south of Kota and has a remarkable history. Built by Rawat Lal Singh (second son of Rawat Kesri Singh of Salumber), Bhainsrorgarh was granted as a jagir ( fiefdom ) by Maharana Jagat Singh II of Mewar in 1741 A.D. Bhainsrorgarh held great importance to the Chundawat clan of Sisodia Rajputs, as it was granted to Rao Chunda after he renounced the Mewar throne for his yet to be born younger brother. As the eldest son of Rana Lakha, then ruler of Mewar, Chunda Ji was the heir apparent to the throne of Chittor. The Chief of Bhainsrorgarh was counted among the 16 first class nobles of Mewar and was conferred the title of ‘Rawat’ by Maharana of Mewar.